Copyright (C) 2013 Harrison Baker. with the Invariant Section being the Creator’s Note. animal species on a small island as they compete, feed, breed and evolve. traits can evolve. New species can be born. random mutation, energy flow, interspecific competition and trophic cascades. some random and semi-random events. interesting. The EM is basically a storyteller, so this role can be a lot of fun. these out as he or she sees fit before the game begins. fair, challenging and makes sense in the ecosystem. Each of these stats is determined prior to play for each species by the EM and/or player(s). DEF values to the number of six-sided dice you have on hand. through rocks. You can forgo movement if you want. you remember you moved it. 3) Repeat until all tokens have acted. Play then passes to the next player. times), a new year begins. We’ll get to what this means later. occupied by an animal of a different species, you must stop by default. carry two green poker chips at maximum. in its place (see “Feces” below). Animals with no chips to drop die. the scenario and species abilities dictate. that turn. Animals that end Summer and Winter adjacent to water do not lose a green chip. “hits” for the attacker must be higher than the number of “hits” for the defender. penalty to its “ATT” value. number of “hits” the attacker rolled, the attack is repelled. Optionally, red poker chips may be used as health indicators, each absorbing one attack. animal. If the defending animal has no red poker chips, the animal dies. attacker is a carnivore or omnivore that feeds on the defender, it gains one green chip from the kill. dropped by players (or the EM) in the path of herbivores over the course of the last year. For a more in-depth experience, each season lasts four turns for each player instead of one. Before the start of every Spring, every animal with two green poker chips gets to reproduce. mutation. See “Genetics” on next page. is positive (4-6) or negative (1-3). You may also flip a coin, if you have one. *If an animal loses a trait it doesn’t have, the mutation has no effect. **If animal is losing a food item, flip a coin or use a six-sided die to determine which food type it loses. level, bearing a certain number of offspring, selecting for a specific trait, etc. benefits both) over time? Why? Can two organisms at the same trophic level co-exist? How? of text. A copy that is not “Transparent” is called “Opaque”. section “Entitled XYZ” according to this definition. and required Cover Texts given in the Document’s license notice. it was based on. These may be placed in the “History” section. list of Invariant Sections in the Modified Version’s license notice. of the compilation’s users beyond what the individual works permit. 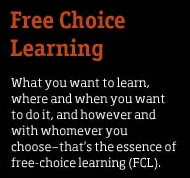 Posted in Free-Choice Learning, Games, Outreach, Research Tools, Science Communication.